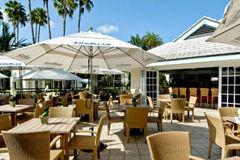 Savor a sumptuous breakfast at Mariners, located at the very center of our resort. From omelets and eggs Benedict to fresh fruit plates and house-made breads, Mariner's offers the Florida Coast's freshest dishes in an unforgettable setting. If only you could start your day like this every day! 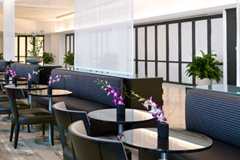 Stunning mother-of-pearl tiles grace our casual yet upscale Lobby Lounge. 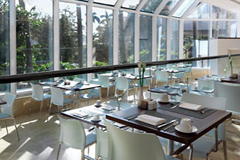 Enjoy a leisurely lunch and panoramic views of the pool and courtyard, or pop in at cocktail hour for a drink and small bites. We promise that you will leave satisfied. Considered "Fort Lauderdale's Best Kept Secret," Pelican Landing lures patrons with new twists on old favorites, satiating drink specials and, of course, unprecedented views of the Intracoastal Waterway. Located in the Pier Sixty-Six Marina, Pelican Landing is the perfect way to start off your weekend or an ideal ending to any day. Let loose — it's time for fun in the sun. Nestled in the center of the resort's three-pool oasis, the Orchids Pool Bar offers casual Florida cuisine with seafood dishes, salads, sandwiches and tropical drinks. After all, everything is better when it comes with a colorful umbrella! Treat yourself to our extravagant buffet-style Sunday brunch. Sip Veuve Cliquot Champagne or mimosas with freshly-squeezed orange juice while you admire the 360 degree panoramic view. 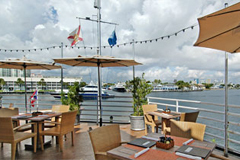 Discover one of the best Fort Lauderdale restaurants; Grille 66 — where the food lives up to the views of the Intracoastal Waterway. Translation: this isn't your average hotel restaurant. 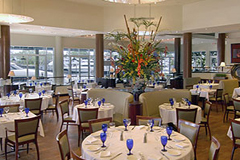 Our Fort Lauderdale FL restaurant specialties include hand-trimmed USDA beef and chops, jumbo lobster, homemade pastas, and award-winning desserts. Treat yourself to the pleasure of dining in your spacious Fort Lauderdale hotel room or from the comfort of your docked yacht. Intimate dinners for two have never been more romantic than when served on the balcony or on your bow. 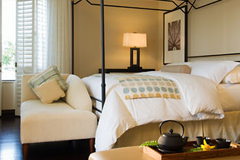 Guests traveling for business may also wish to use our Fort Lauderdale hotel suites to entertain friends or colleagues. 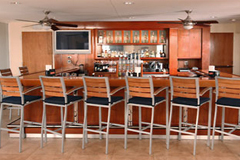 Sample a rare bottle or enjoy your favorite wine by the glass at our upscale Fort Lauderdale bar. 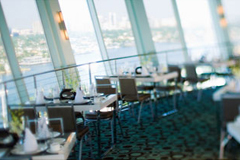 Considered by locals to be one of the best restaurants in town, Grille 66 features breathtaking views of the Intracoastal Waterway and multi-million dollar yachts. 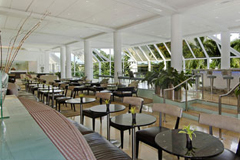 A relaxing evening at our luxurious resort is an ideal way to experience true Fort Lauderdale nightlife. Start off your weekend with a relaxing lunch on the water or end your day watching a sensational sunset with your favorite cocktail. Considered "Fort Lauderdale's Best Kept Secret," Pelican Landing lures patrons with its decor, a menu that offers a new twist on old favorites, satiating drink specials and unprecedented views of the Intracoastal Waterway. Discover an intimate locale for tapas, cocktails and leisurely evening dining. Nestled in the center of the resort's stunning three-pool oasis lanai courtyard, the Orchid's Pool Bar offers casual Florida cuisine featuring seafood dishes, salads, sandwiches and tropical drinks.